The road wound south through hills dotted with sheep, daffodils waving by the roadside, patches of snow glimpsed up distant cleuchs. Blue sky, pearlescent mist, more blue sky. 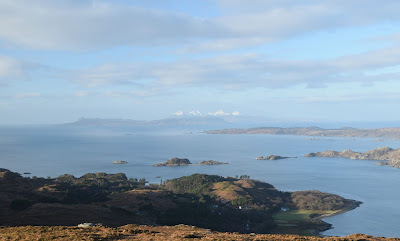 A secret country, empty for miles, its tights folds and many glens disorientating to Lowlander and Highlander alike. 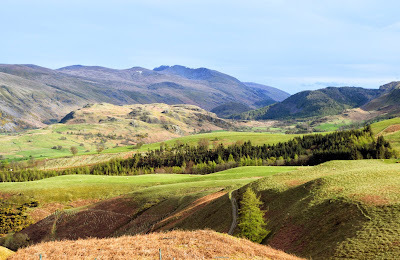 The way from Edinburgh to the Lake District traverses the Borders, whose neglected backroads like the A701 are a treat to follow early on a weekday morning. And what a glorious start to the day! The forecast was bad but on arrival, Ullswater was sparkling. Is there anywhere more picturesque than Lakeland on a fine spring day? 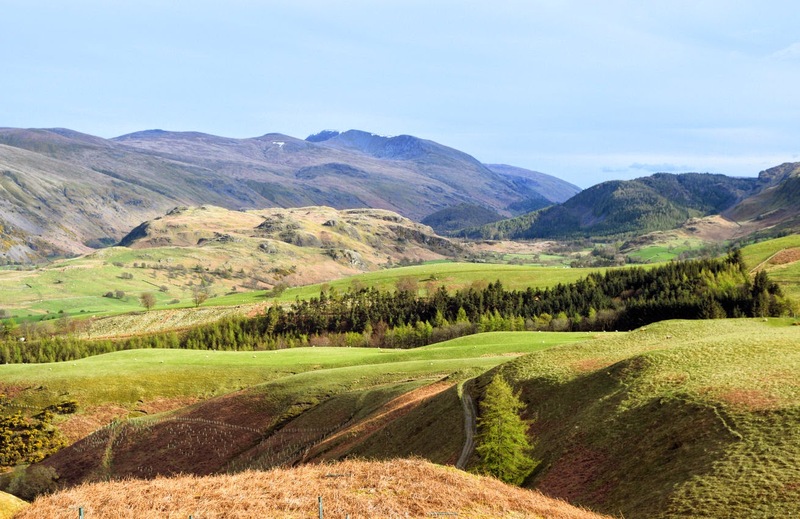 Where else has its bewitching combination of lambs and fresh scrubbed grass, quaint farmhouses and villages, and rugged, satisfyingly complex hills? Spring is the season of Wordsworth's daffodils, a season when the tourist horde has not yet descended to clog the byways and jade the experience. I could not believe my luck, but it was not to hold. Within minutes of setting off, the weather turned. That's spring for you. 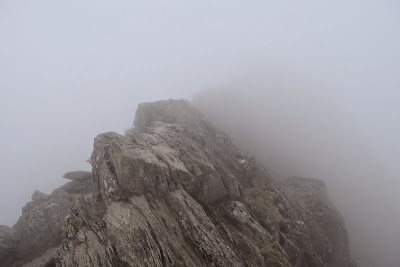 My target was Helvellyn via the Grade 1 scrambling route Striding Edge. I wasn't going to underestimate it, as someone had died on it earlier in the week - the fifth fatality on Helvellyn this season. 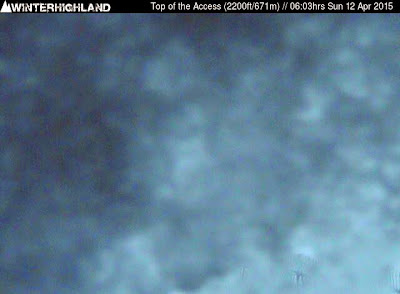 The lingering cold had left snow and ice on the tops which had been catching people out from Easter onwards. 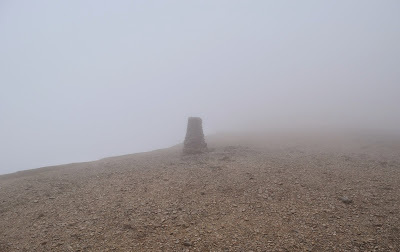 It was a shame to have no view, but the ridge itself, whilst requiring concentration, was ice-free and easy enough - like crossing a bouldery beach. One thing that stood out was the polished nature of the rock. As the steps of an old church wear away with centuries of use, so Striding Edge must see a lot of traffic. 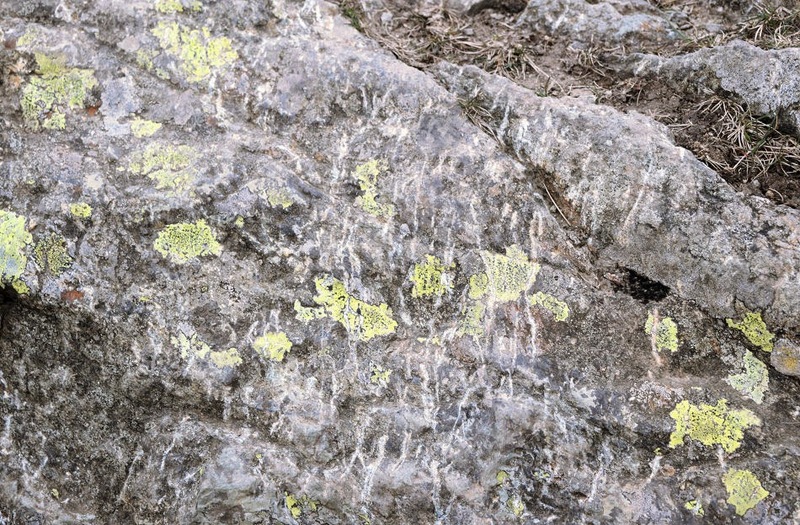 Certainly, I've never seen so many crampon marks on one route as on Striding Edge. And then the top - thick fog, a rim of snow, and sudden flatness. I walked in the general direction of the top and touched the cairn and the trig. Not far from the top I came across a disorientated family. They had come up from the west and lost the path down. I shepherded them down to the unmistakably broad path to Wythburn that they had followed up until it had petered out into the stonefield of the small summit plateau. 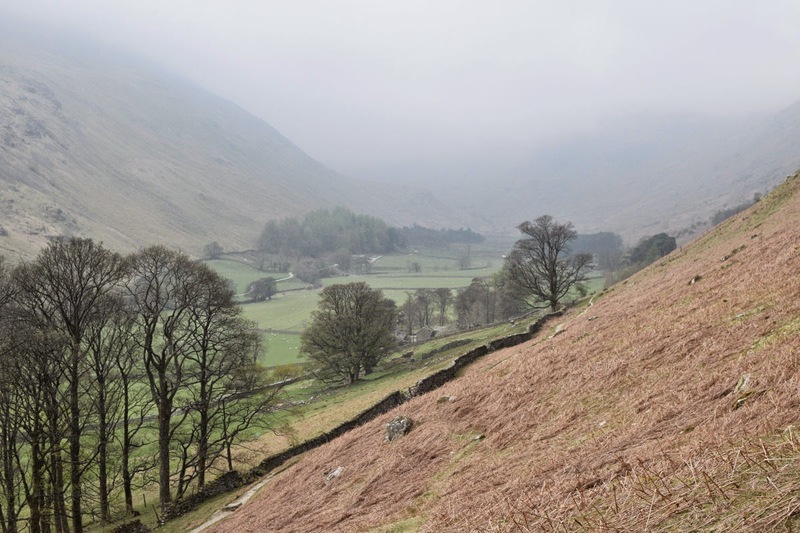 They were relieved and grateful - but they would not have to had waited long for assistance somewhere as busy as Helvellyn - even on a weekday in spring. 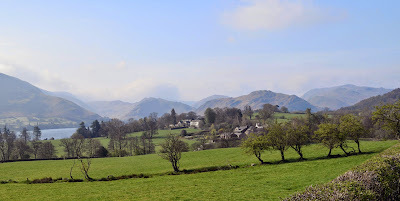 I had hankered for a while after England's most famous ridge, and her most popular hill. A shame to have seen so little of it. 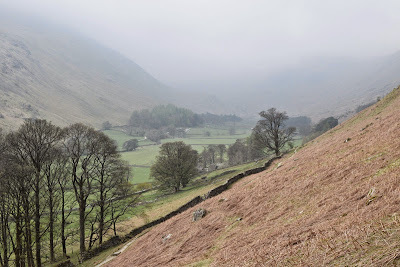 But I carried on over three more hills in the cloud, freezing wind, and drizzle - Seat Sandal, Fairfield, St Sunday Crag - enjoying a rare day of navigational and physical exercise. I like webcams. 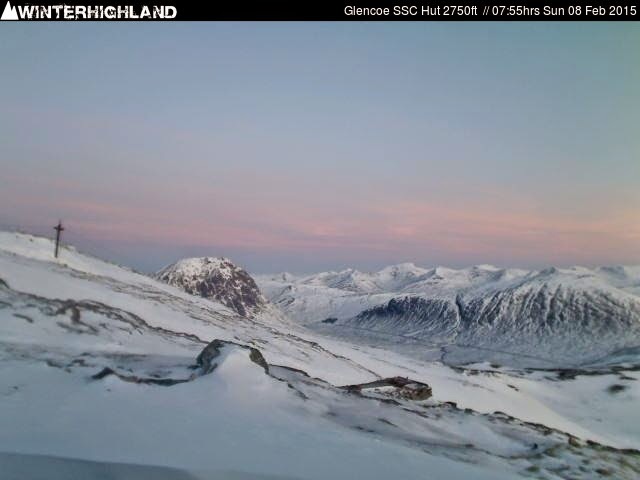 They can give you an idea of what the weather is like before you head off hillwalking (or skiing, if you into that sort of thing). My favourite of all the webcams is that at Glencoe Mountain Resort. 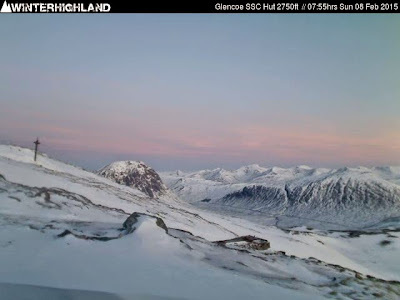 But for such a scenic country, Scotland has surprisingly few tourist webcams - there is a set at each of the ski-resorts - and not many more. Those that do exist tend to be low resolution affairs set up by local B&B owners, or road authority ones concentrating on traffic flow. But imagine the advertising benefits to the local area of broadcasting somewhere like Traigh Seilebost live at high resolution? Get it sorted, Scottish tourist board. Damn, I will think, another wasted day!